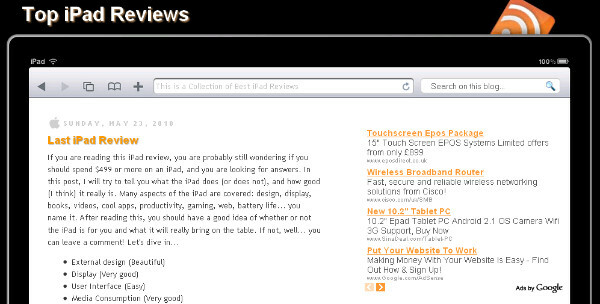 Template Description - This template is designed to look just like the iPad screen and it is quiet accurate.The template is made up of a large posting area and you can have either one wide sidebar or two narrow sidebars on the right.The menu bar is in the style of the iPad and other features like the power bar, apple logo and signal strenght icon help give the iPad feel. Comments Encouraged - If you have any questions Post them below and we will do our best to help. I tried to use it on blogger but it doesn't work!